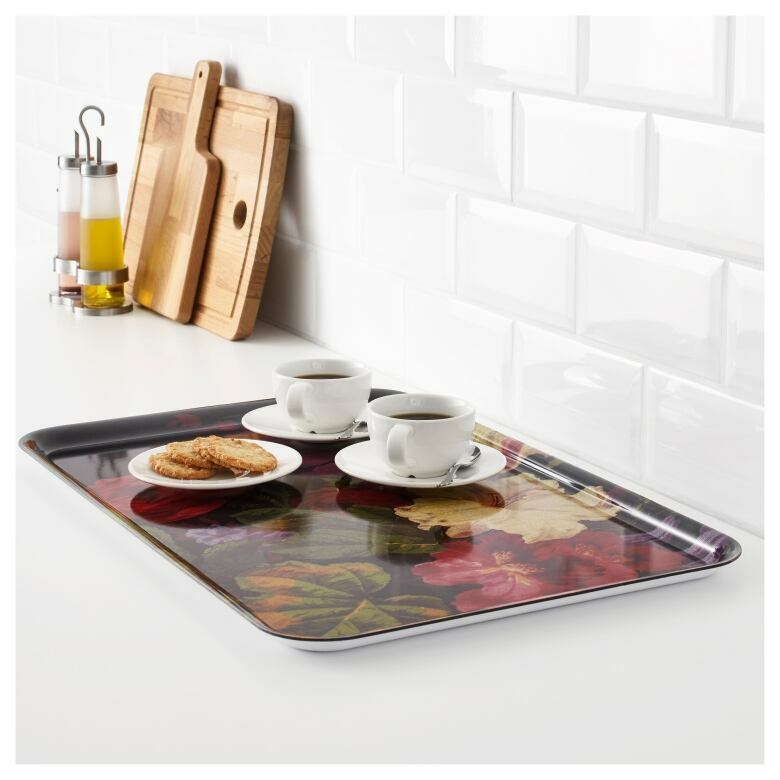 Host in style — and on budget! With the year slowly fading through the rear view, it's time to think about giving thanks, and to plan our Thanksgiving 2017 celebrations. 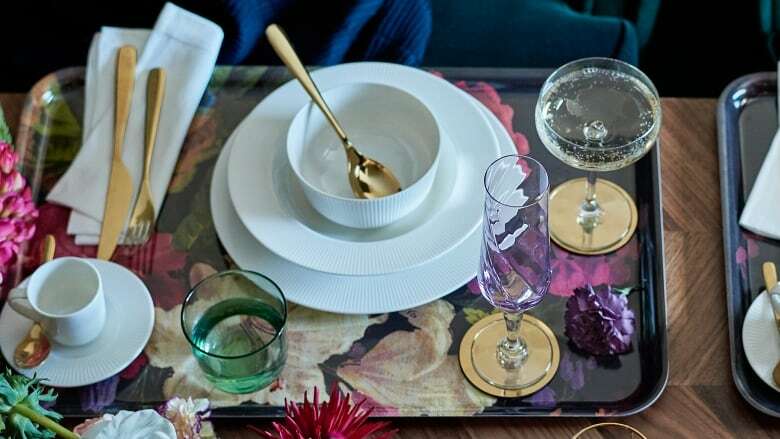 Dress up your turkey, pies and libations by adding festive touches to the table — with hits of floral, prints in blues and greens, as well as pops of shimmer in champagne or gold, these pieces carry a feeling of luxe, without a heavy price tag. Choose one or two pieces to update your existing tablescape, or shop multiple items to reimagine your entire dinner setting. The lesson here, thankfully, is that you don't have to spend a ton to have a chic and cheerful holiday! Here are 20 ways to celebrate the holiday with something pretty! This deeply hued floral tray will set a mysterious and romantic stage for your guests. 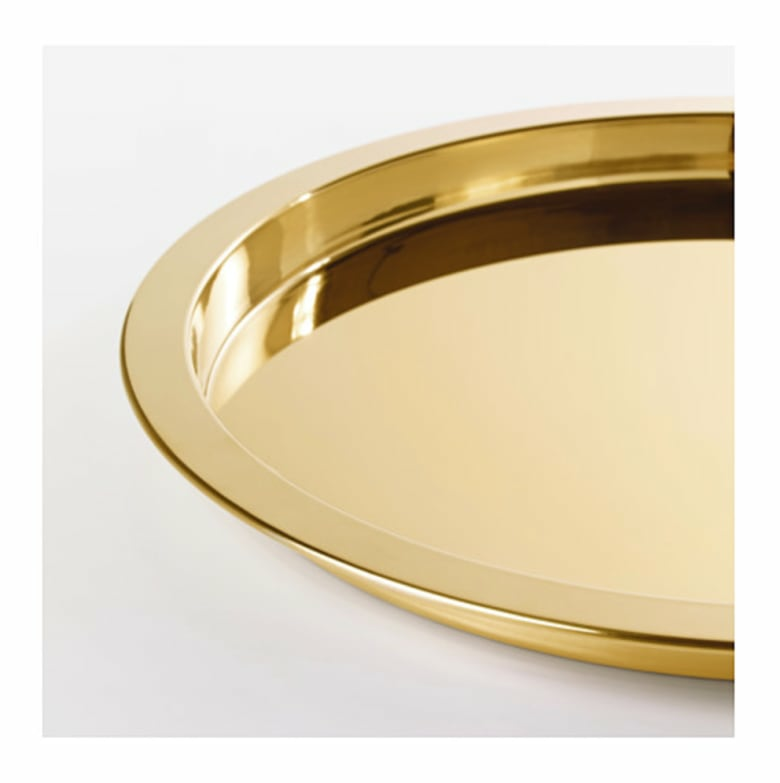 While this gold tray may not be the real deal in terms of karats, it's a pretty way to dress up your table this coming holiday. 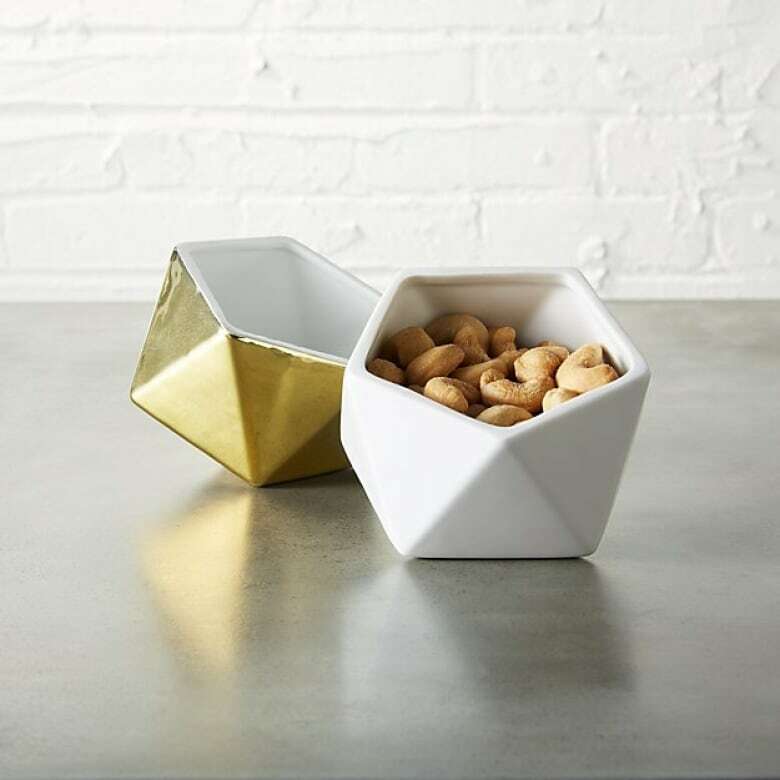 These bowls will add a chic shot of gold to everyone's favourite nibbles and can be used later as a jewelry dish or for succulents. 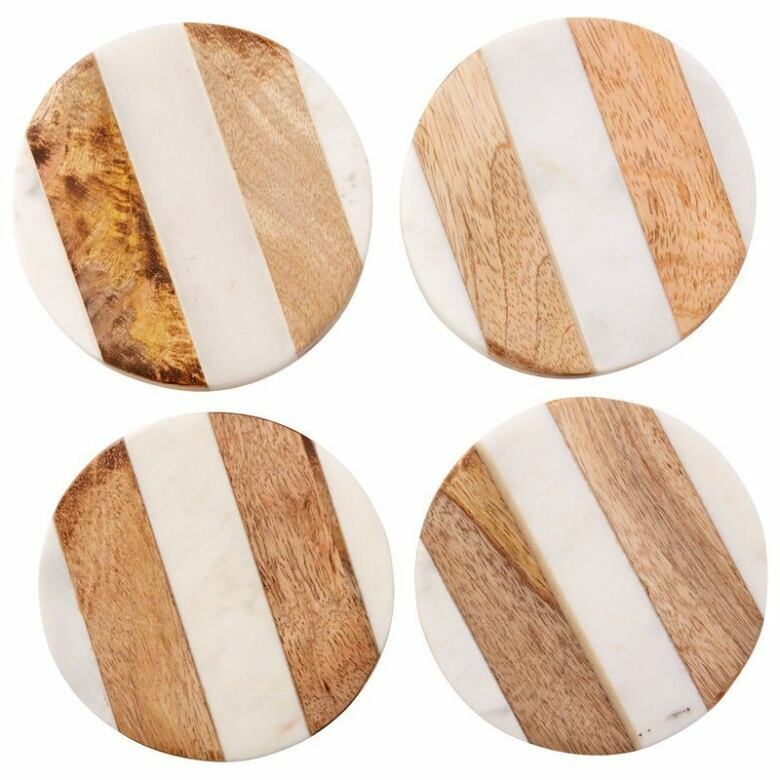 Add an island vibe to your table with these marble and tropical wood coasters. 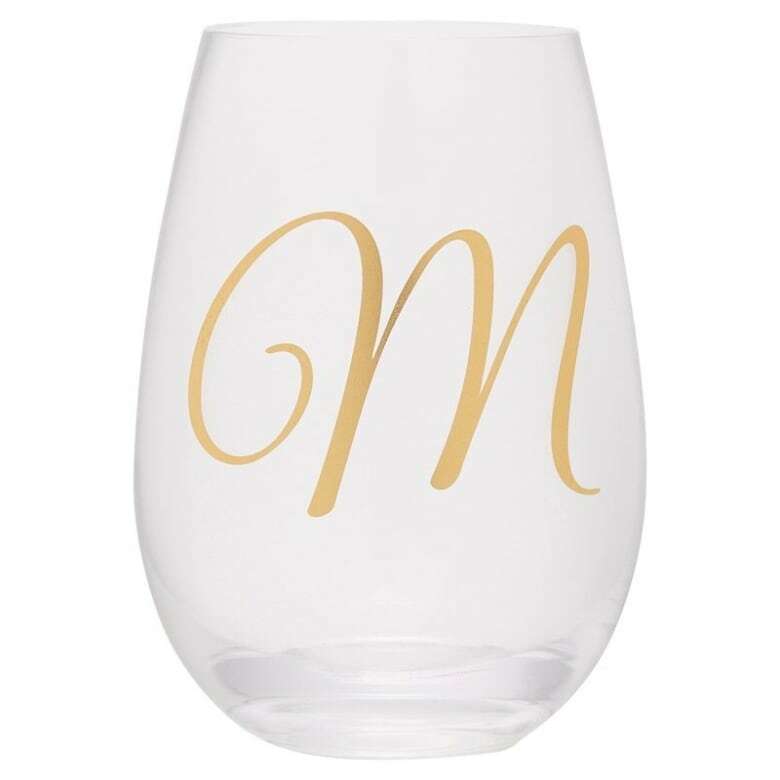 You'll make each person sitting at your table feel like a guest of honour with monogrammed wine glasses. 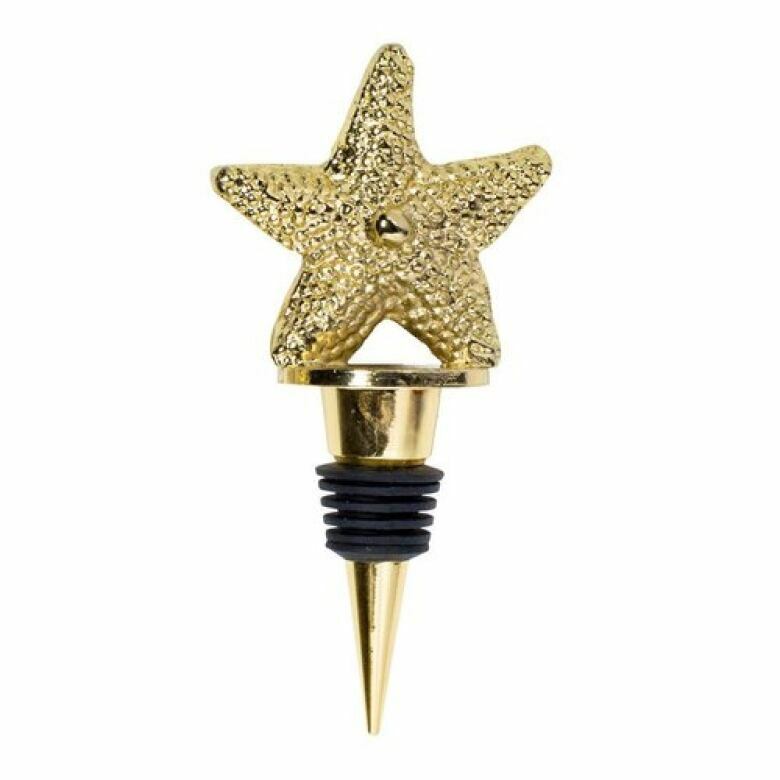 You'll get top marks for serving everyone's wine with such panache. A periwinkle blue will add a lovely hit of colour to your dining experience. 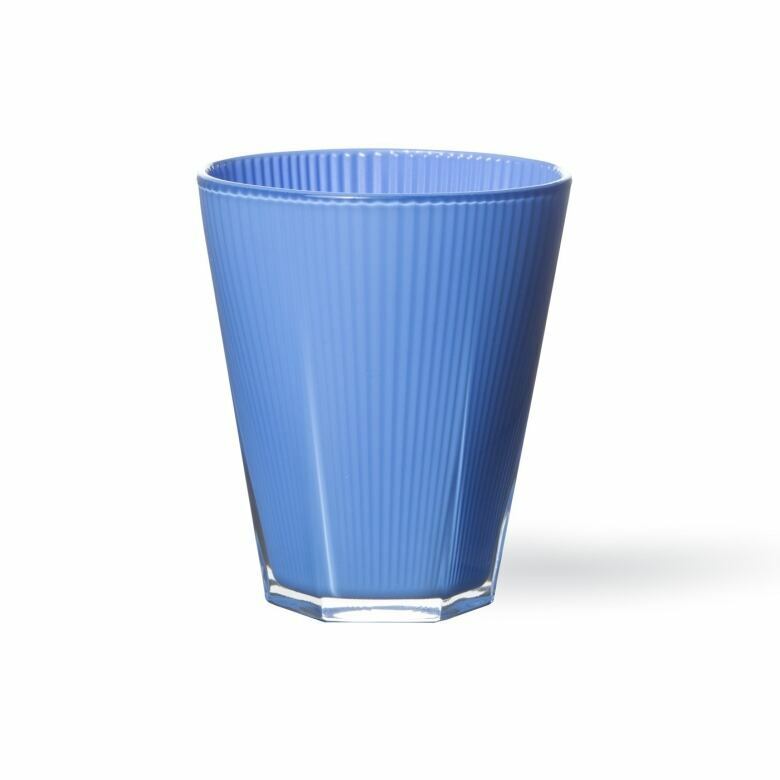 These beautiful tumblers also come in lovely shades of white, cream and teal, so you can mix and match if you so choose. Every table needs a touch of feminine floral, non? 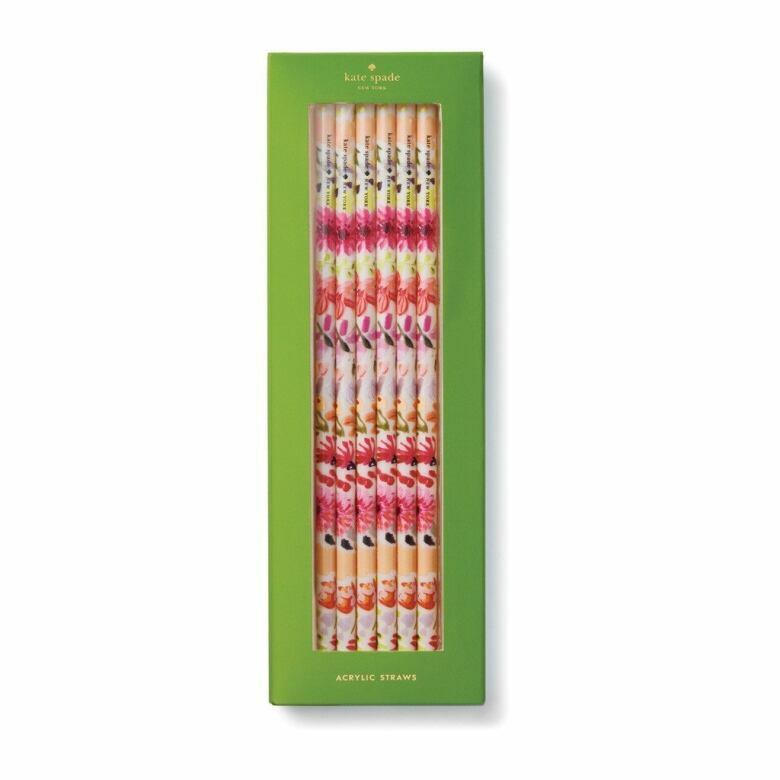 With just a hint of petal power, these straws are perfect for upping the style ante this Thanksgiving. With the inspiration from this design coming from bridal gowns, you can't go wrong with a frilly bowl to dress each table setting. 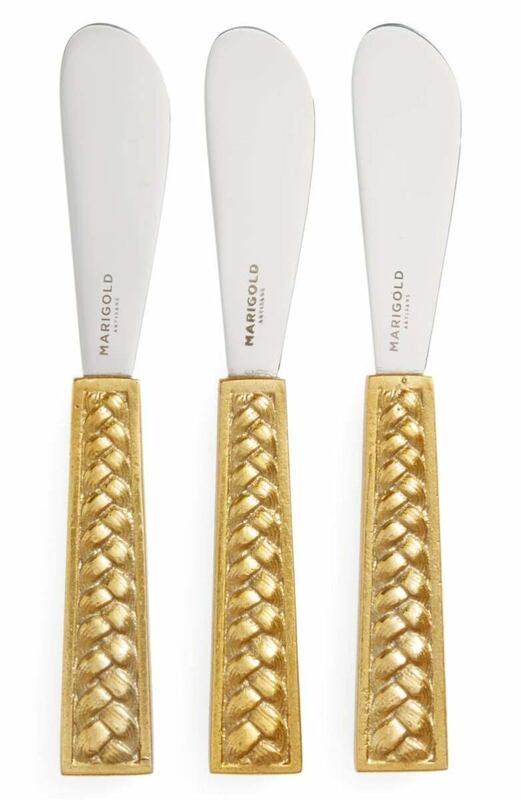 Every cheese board deserves a pretty set of knives to dole out those delicious morsels. 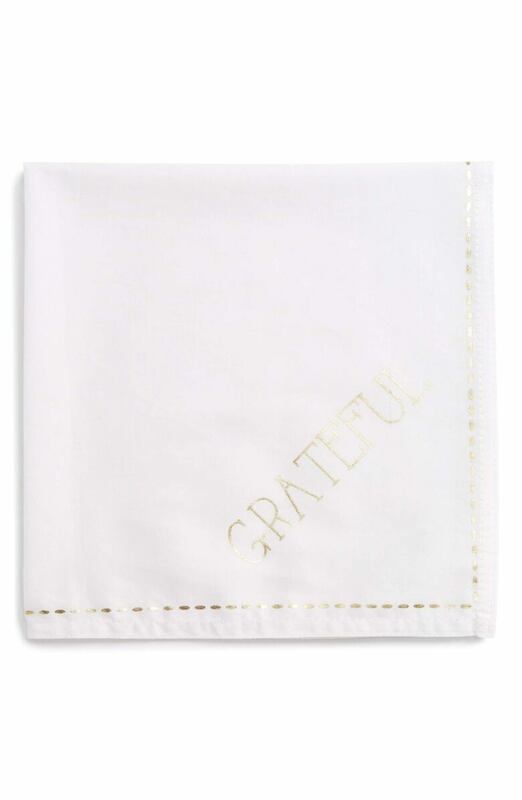 A simple ivory cotton napkin such as this (etched with the word grateful) is an understated reminder on this auspicious occasion. 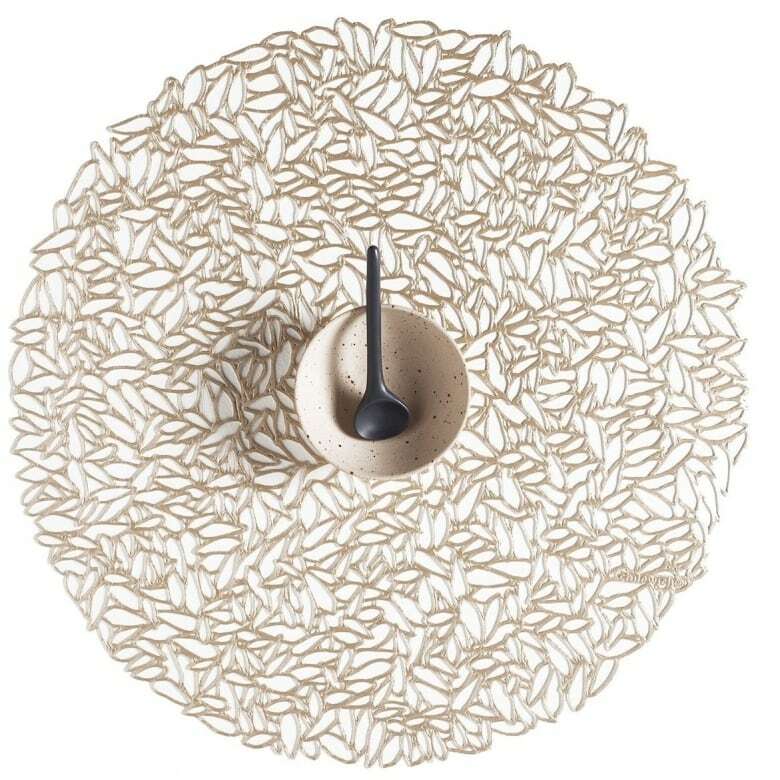 Place your plates on the prettiest mat to ever adorn your tablescape. 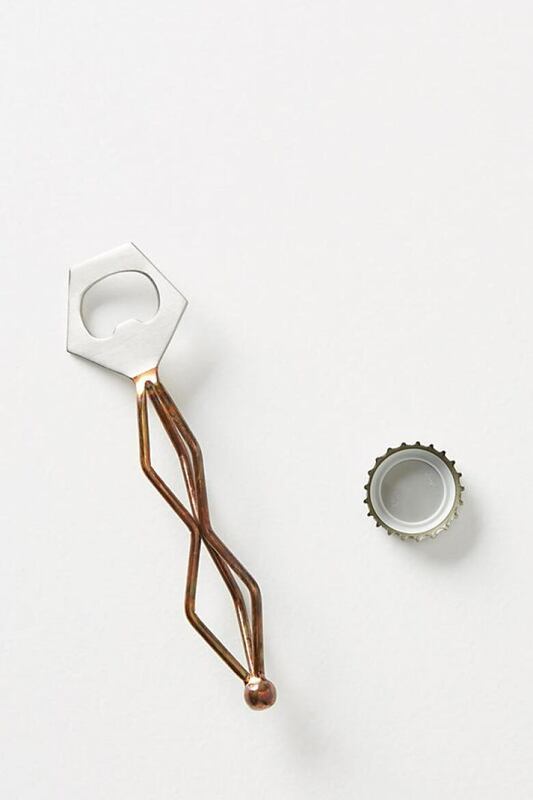 This copper bottle opener is pretty in design and texture. Just make sure no one tries to pocket this bad gal after dinner. 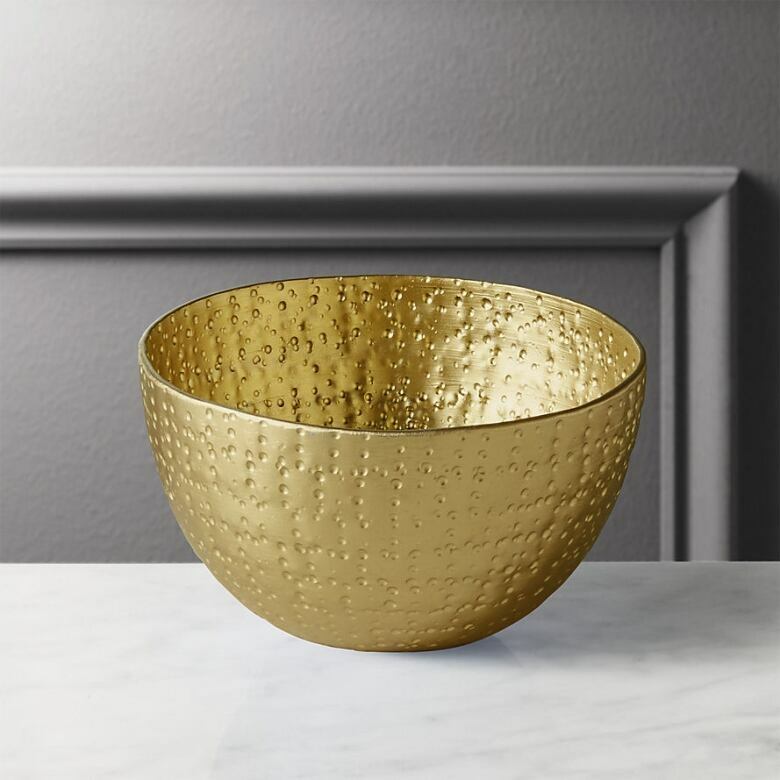 Whether it's full of greens, bread or cranberries this delightful bowl will add the perfect amount of shine to your dinner. 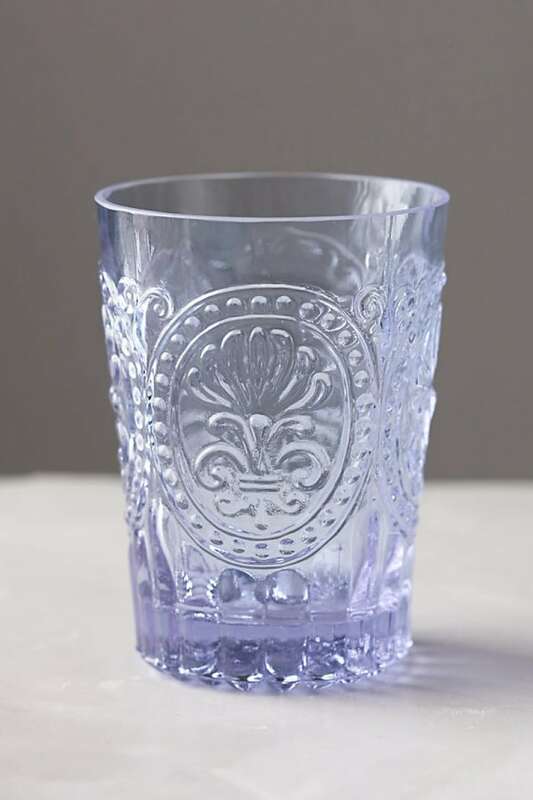 A divine addition; these pale purple glasses are ornate, retro and right on time. 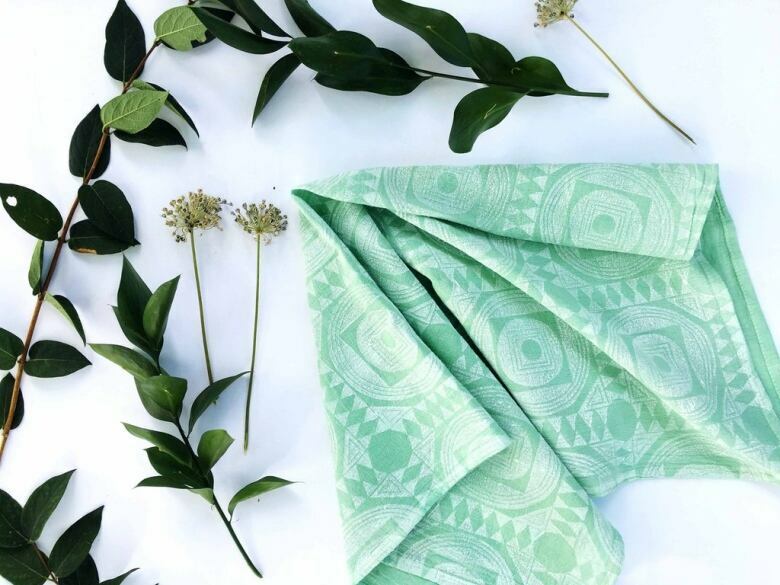 Sea foam green tea towels are the perfectly offbeat complement to all those autumnal hues. 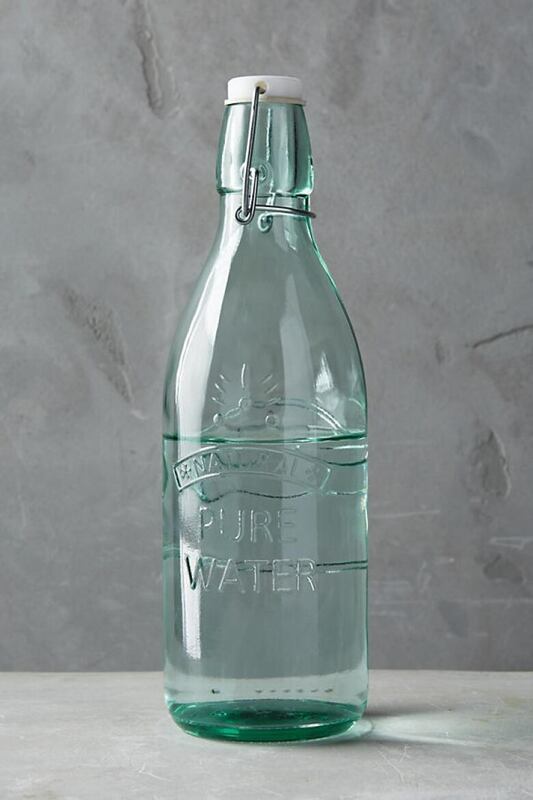 Hydrate in style with a country-chic carafe that you'll adore for seasons to come. 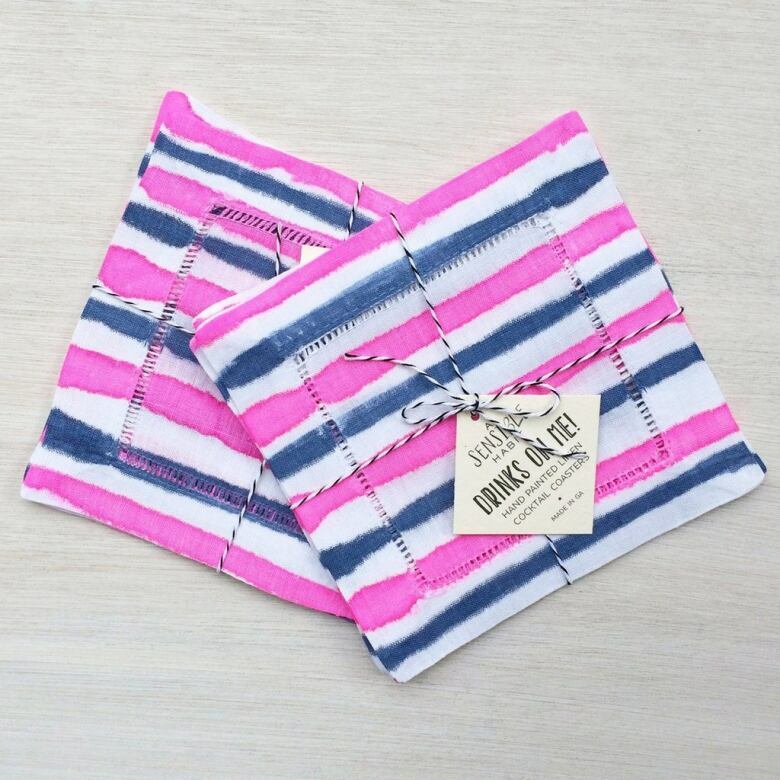 The bright hit of colour from these 100 per cent linen cocktail napkins feels oh-so-right this Thanksgiving. Place your show-stopping dessert high above the other accouterments — it deserves to be on display. 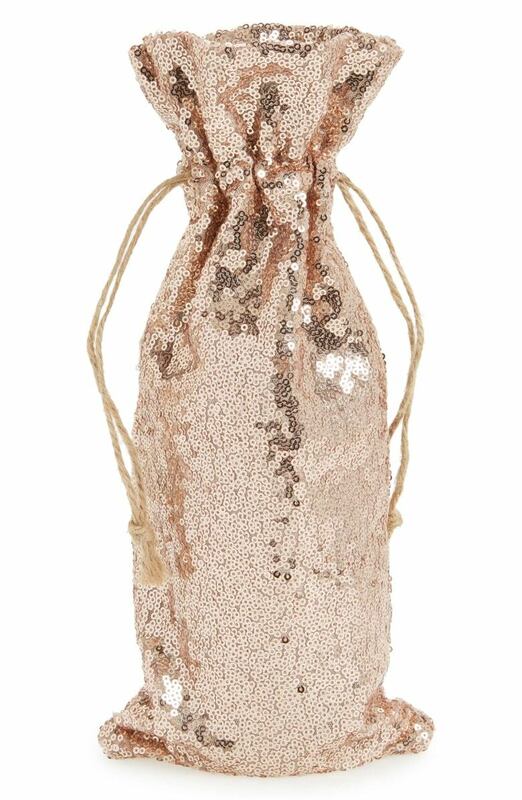 Your lovely bottle of pinot noir will be the best dressed of the night in rose gold sequins.